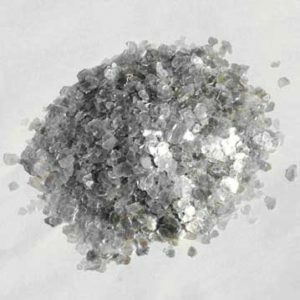 Mica flakes is Grinding or crushing of processed Mica scrap into sizes ranging from 2 mesh to 30 mesh. We prepare natural mica flakes. Grinded into various sizes from pure muscovite mica, our natural mica flakes are greatly sought after by industries involved in manufacturing of pearl escent pigment, concrete block fillers, refractory bricks, asphalt roofing felts, metals explosives and disinfectant etc. Natural mica flakes is made from selected grade of ruby mica. While processing and manufacturing, the raw material is dried to get rid of any moisture and then screened to remove dust. After that all foreign particles like biotite, quartz, straw, bamboo (organic and inorganic material) are removed manually by hand picking process. Mahaveer ceramic industries is a professionally managed enterprise actively engaged in the supplying of Minerals. We are a prominent manufacturer and exporter of Mica Powder, Mica Flakes and Mica Scrap. Our products are scientifically processed and thus are very effective in their uses and performance. we have been able to establish ourselves as a reliable entity in the market. all customer satisfaction is the sole motive of the company. We are committed to offering quantitative products to the customers. Our transparent working ethics and compliance to the customer-centric approach have enabled us in serving the perfect products to the esteemed patrons. Precisely for these attributes, we are today acknowledged among the credible White Mica Powder Manufacturers and reliable Mica Rocks Exporter in India.